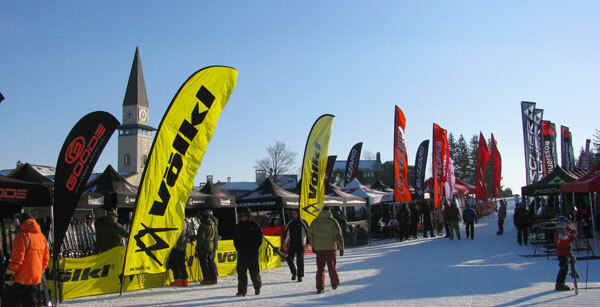 As ski editors, we have the rare privilege to demo skis, boots, goggles, and review next year’s ski gear. Consider it our service to you, and our pleasure, to present you the best new skis from Volkl, Nordica, Rossignol, Atomic, Fischer, Dynastar, Elan, Head, Blizzard, K2, Kastle…to name a few of our favorite skis. We love to test skis from front side carvers to fat skis on a powder day with rocker that floats like a water ski over chop. Every year ski manufacturers release new ski styles, new construction and new top sheets that make us drool – so we do our best to keep up with the ski trends and provide you with ski reviews you can use – when you go to the ski shop or to a ski demo tent. So much technology and passion goes into the production of a pair of skis, that’s why skis cost a pretty penny, or a grand! But essentially it all comes down to personal ski preference and style, and the conditions where you will be skiing, East or West, or the Alps, hard or soft, steep and deep or wide open wall to wall white carpet. See our ski reviews for several ski seasons, then try before you buy. New Ski Gear Every Year?